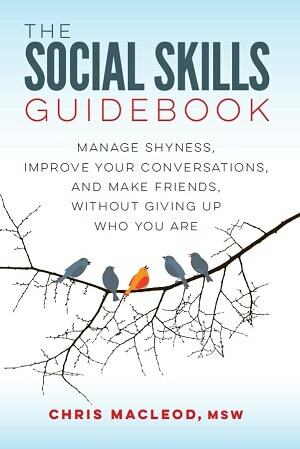 Your teenage son or daughter is struggling socially. Maybe they were a bit shy or quirky when they were younger, but nothing serious enough that you thought about getting them help at the time. Now they're in high school and things have gotten worse. As far as you can tell, they have no or very few friends. They don't connect with their peers. They're withdrawn. If they talk to you about it at all, they seem hopeless and defeated about the idea of having a social life. You're at the point where you're thinking about having them see a professional, but you don't know where to start looking for one. (Whether they'll actually want to go to a counselor is another story, but you'll cross that bridge when you get there. For now you just want to see what's available.) This article will go over the ways you can find someone who could help your teen. The good news is there are plenty of options out there. In fact, there are generally more supports for kids and teens with social problems than for adults. There are two broad types of professional help you can get for your teenager. The first is to have them work with a counselor one-on-one. The second is to enroll them in a group program, like a twelve-week social skills training group for adolescents. An obvious benefit of groups is they allow your child to learn and practice with peers who are going through the same thing they are. Groups aren't available in every city though. If you know how you plan to pay for a potential therapist, it can help you know where to start your search. If you have insurance, find a counselor who's covered by your plan - Some plans only let you see providers in their network. Others will reimburse you for anyone you see who has certain credentials. The obvious benefit of this approach is that a lot of the cost will be taken care of. However, you might learn about a therapist or program that seems like a great fit for your teen that your plan doesn't cover. Your plan may also limit how many sessions they can attend, or what approaches their counselor can use. Pay for a counselor out of pocket - This route is usually pricier, but if you find the right person or program it can be worth it. Some self-pay therapists offer a sliding scale fee, so it's not necessarily unaffordable. Also, if your insurance plan has a higher deductible, paying for someone yourself may not be that much more expensive. Access a counselor through a community mental health agency - Services at community agencies are likelier to be lower-cost or free. A particular agency may also specialize in your teen's social issue. Agencies generally have longer waiting lists though. What type of therapist should you look for? Ideally you want to find someone who has experience working with teenagers, and in helping their clients work past obstacles like shyness, social anxiety, and underdeveloped communication skills. Those are common problems among teenagers, so many therapists who work with that age group will have experience in treating them. However, while expertise in specific areas is one big factor to look for in a counselor, so is how well they click with their client. It's possible your son or daughter could see a therapist who's great on paper, but they won't feel much rapport with them. They might connect better with a different counselor who's a little less-experienced. That's okay. At least they're going to see someone. What's the difference between the various types of mental health professionals? Counselor, therapist, or psychotherapist are general terms for someone who provides talk therapy. They could have any type of counseling-related degree. In most places only people with the appropriate degree and license can call themselves a counselor or therapist. A coach or someone who offers social skills coaching may or may not have a counseling-related degree. Usage of the term isn't restricted. It's not a hard and fast rule, but usually someone who provides coaching will focus more on skills-training and less on treating mental health conditions like anxiety and depression. That's not necessarily better or worse than regular therapy. 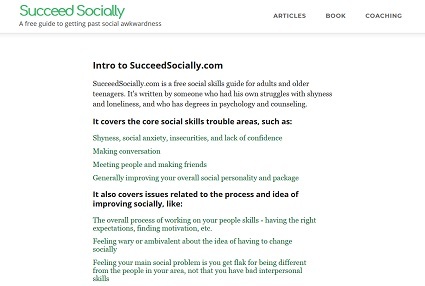 It depends on what social problems your teen needs help with. A psychiatrist is a medical doctor who specializes in mental health. Generally speaking, they focus more on prescribing and monitoring medication than providing one-on-one counseling. A psychologist is someone with a graduate degree in clinical psychology. (Clinical psychologists are trained to treat mental health conditions. Other types of psychologists are more about doing academic research.) They often provide one-on-one therapy. In many agencies or group practices they'll focus on administering assessments, since they often have training in that area. A social worker has a graduate degree in, you guessed it, social work. Social workers do a variety of helping-related jobs. Some of them provide therapy, and while getting their degrees their courses and internships on were based around that. Other social workers are in roles like child protective services or helping people with disabilities access subsidized housing. Overall, if you're looking for a counselor for your teenager, the exact type of degree they have doesn't matter a ton. Assuming they've been doing the job for same amount of time, a social worker is just as likely to be an effective therapist as a psychologist. What's more important is any one professional's level of knowledge and experience with a particular issue, as well as how well they click with their client. If you're trying access specific things like medication, a diagnosis, or an assessment, what degree someone has comes into play. Usually only psychiatrists can prescribe medication. It varies from location to location, but not every type of therapist is allowed to make a diagnosis or do certain types of assessments. The process of searching for a counselor and learning what services are available in your community can seem daunting. You may be thinking you already have enough on your plate, and don't need this as well. Like with any seemingly big project, if you get started and take it one step at a time, before you know it you'll have made more progress than you expected. Most likely the teenage son or daughter you're worried about is still in high school. However, if they're in their late teens and attending university, they likely have access to free or low-cost counseling through their school. Use terms like (Your city) social skills counselor for teenagers, (your city) adolescent social anxiety therapist, or (your city) social skills group for teens. You may have to play around with what search terms you use, but you shouldn't have a problem coming up with plenty of options to go through. Psychology Today currently has the biggest, most-widely used therapist directory. If you do a search for local counselors it will likely come up in the results. You can use the filters to narrow down the list to providers who work with adolescents and social issues. Psychology Today also has listings for therapy groups, though it won't list every one in your city. From there you can contact the counselors directly or see if they have a website where you can learn more about them. Your physician may have a therapist or service in mind they can point you to. If you know someone who's own child has had social issues, and you're comfortable broaching the topic with them, ask if they can suggest a therapist or agency to you. Someone at your son or daughter's school may have good knowledge of what supports are available in the community. At more-specialized agencies your teenager may need to be diagnosed with the condition they focus on to be seen there. But even if you can't use their services, if you contact them they may be able to point you in the right direction. The person responsible for intake will be knowledgeable about local resources. They won't necessarily be able to point you to a specific therapist, but may make you aware of other agencies or programs you would have missed otherwise. More and more counselors do sessions over video chat. Others offer services over the phone, or by text and email. This could be a possibility if you're in a rural area. There may not be many counselors in your vicinity, but there might be someone qualified in a nearby city your teenager could work with long distance. You might have also learn about a therapist through your research, perhaps by finding an article they wrote. You could like what they have to say and think they could help your son or daughter. If they offer online counseling then that's an option.